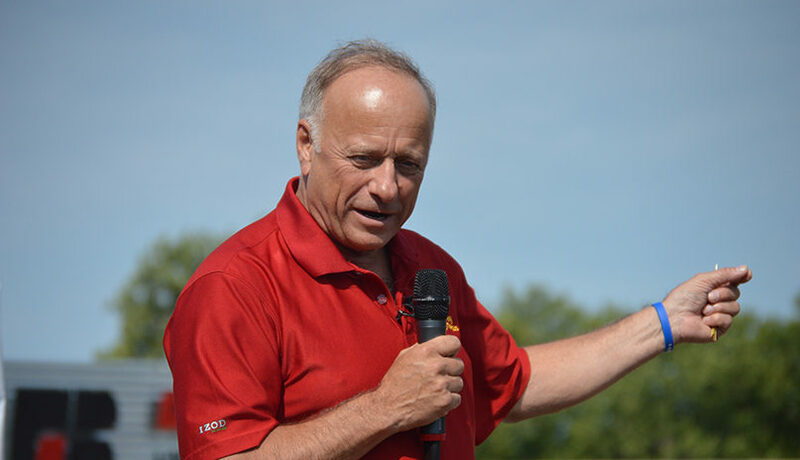 King drew criticism this week from Ohio House Rep. Steve Stivers, the head of the National Republican Congressional Committee, who called some of the Iowa lawmaker’s recent comments “completely inappropriate.” Anti-Defamation League CEO Jonathan Greenblatt sent House Speaker Paul Ryan, R-Wis., an open letter following the Pittsburgh killings calling on him to censure King, citing King’s relationship with Austria’s far-right Freedom Party. Last week, King met in August with members of the far-right party, which has Nazi roots, while on a trip sponsored by a Holocaust education group. In June, King retweeted Mark Collett, a British white nationalist who has described himself as a “Nazi sympathizer.” King refused to apologize or delete the tweet despite criticism. Last month King endorsed Faith Goldy, a white nationalist running for mayor of Toronto, who has claimed that “Canada is undergoing a ‘white genocide.’” King is facing mounting criticism within the Republican Party and a tough re-election bid.